Each student has abilities and skills. A thoughtful Individualized Education Program (IEP) can highlight abilities and provides the supports needed for the student to learn. This article will help parents understand how to participate in the IEP process. Every part of the IEP is measured against this question: How does this help the student with disabilities receive the support needed to access a Free Appropriate Public Education (FAPE)? Read on to learn more about FAPE and other important parts of special education. Learn the 5 steps a parent can take as a member of the IEP team. This article will help you gear up for the school year. The Parent Training and Information (PTI) team at PAVE are here to help: If you need 1:1 help navigating the IEP process, click Get Help! on our website, wapave.org. A new school year is a great time to take a fresh look at your student’s Individualized Education Program (IEP). If your student doesn’t have an IEP and you wonder if a disability might be impacting your student’s learning, this is a good time to learn about the special education process. This article will help you learn the basics. You can also read PAVE’s article about Evaluation, the first step in the IEP process. As you and your student get ready for school, the most important thing is the “I” in IEP. The “I” is for “Individualized,” so no two IEPs are the same! Your student has abilities and skills. A thoughtful IEP highlights abilities and helps your student access the supports needed to learn. With an IEP, a student with disabilities can make meaningful progress in school. It also prepares your student for life after high school. An IEP is a team effort, and parents and students who learn about the process and fully participate get on a path for success. When Congress passed the Individuals with Disabilities Education Act (IDEA) in 1990, special education got its most important acronym: FAPE. FAPE stands for Free Appropriate Public Education. 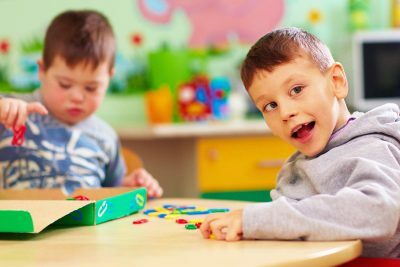 The right to FAPE makes the IDEA law unique: It is the only law in the United States that provides an individual person with the right to a program or service that is designed just for that person. This is called an entitlement. Entitlement means that a student with disabilities is served on an individual basis, not based on a system or program that’s already built and available. When schools and parents talk about a special education program, they talk about the services and instruction that a student needs to learn in school. Every part of the IEP is measured against this question: How does this help the student receive the support needed to access a Free Appropriate Public Education (FAPE)? Education is a civil right. 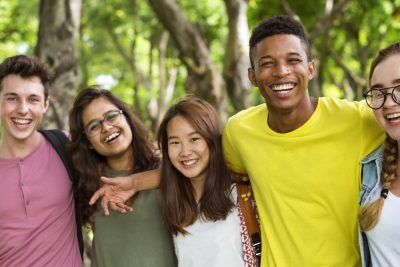 Students have the right to access a free, public education through the age of 21. Students with disabilities identified through an evaluation process qualify for FAPE. Let’s take a closer look at the second word in FAPE: Appropriate. When an education is “appropriate,” it is designed to fit a specific student. Like a custom-made garment, it fits the learning style, capacity and specific needs of the student without any gaps. The IDEA is based on an earlier law: The Education for All Handicapped Children Act of 1975. 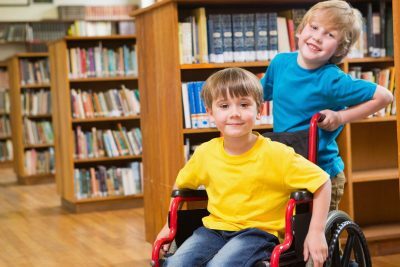 This federal law was the first one that required schools to create specific educational plans for students with disabilities. In 1972 a Washington, D.C., court said that education should be free and “suitable” for all children of school age, regardless of disability or impairment. Parents can keep this in mind when they read through the IEP or when they prepare for IEP meetings. They can ask, Is the program or service suitable and appropriate, given my student’s abilities and circumstances? If the student, with parent input, is determined to “meet criteria” under the IDEA, then that student is eligible for special education services. Special education is a service, not a place. ​Free Appropriate Public Education (FAPE): Students with disabilities who need a special kind of teaching or other help have the right to an education that is designed just for them. Appropriate Evaluation: The IDEA requires schools to take a closer look at students with suspected disabilities. That part of the law is called the Child Find mandate. There are rules about how quickly those evaluations get done. The results provide information that the school and parents use to make decisions about how the student’s education can be improved. Individualized Education Program (IEP): The IEP is an active program, not a stack of papers. The document that describes a student’s special education program is carefully written and is reviewed at least once a year by a team. This team includes school staff and parents/guardians and the student, when appropriate. Learning in school isn’t just academic subjects. Schools also help students learn social and emotional skills and general life skills. Every student has access to a High School and Beyond Plan by age 12 or 13. By age 16, an IEP includes a transition plan for life beyond high school. This helps the student make a successful transition into adulthood and is the primary goal of the IEP. 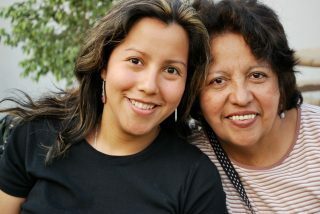 Parent and Student Participation: The IDEA makes it clear that parents or legal guardians are equal partners with school staff in making decisions about their student’s education. When the student turns 18, educational decision making is given to the student. The school does its best to bring parents and students into the meetings, and there are specific rules about how the school provides written records and meeting notices. Procedural Safeguards: The school provides parents with a written copy of their rights at referral and yearly thereafter. Parents may receive procedural safeguards any time they request them. They may also receive procedural safeguards the first time they file a citizen’s request in a school year or when they file for due process. Procedural safeguards are offered when a decision is made to remove a student for more than 10 days in a school year as part of a disciplinary action. When parents and schools disagree, these rights describe the actions that a parent can take informally or formally. Once testing is complete, the school schedules a meeting to discuss the results and whether a team will move forward in developing an IEP. ​Parents get a written invitation to the meeting. If the date and time don’t work, keep in mind that parents are required members of the IEP team. The school and family agree on a time, and schools document efforts to include parents at all IEP team meetings. You can ask ahead for the agenda to make sure there’s going to be enough time for the topics being discussed. Experts to explain the testing results. This could be a school psychologist or a specialist such as a physical therapist, occupational therapist, Applied Behavior Analyst (ABA), a nurse, etc. If your student already has an IEP, a re-evaluation occurs at least once every three years unless the team decides differently. A parent can ask for a re-evaluation for different reasons. Usually, a re-evaluation will not occur more than once a year. Confirm the time and location for the meeting and read the attendance list. If a key member of the team is going to miss the meeting, you will have to sign consent to excuse that person. Ask to reschedule if you aren’t okay with that person being gone. You can ask for a copy of the evaluation results or a draft copy of the IEP before the meeting to help you get ready. You can collect letters or important documents from medical professionals or other providers to help you explain something that’s concerning you. You may write a short list of questions, so you don’t forget to ask something important during the meeting. Another option is to make a list of your student’s strengths and talents, to make sure that the school’s program builds on what already works. You can write a letter of concern and ask for it to be attached to the IEP document. Consider inviting someone to come with you, to take notes and help you stay focused. Knowing the technical parts of an IEP will help you understand what’s happening at the meeting. Remember that the IEP is a living program, not a document. The document that gets drafted, revised and agreed upon does the best job that it can to describe the positions and intentions of the IEP team. The document is a reference guide for the real-time programming that a student receives at school each day. The IEP is a work-in-progress, and the document can be changed as many times as needed to get it right and help everyone stay on track. Annual Goals, including academic, social, emotional and functional goals. Goals should be SMART (Specific, Measurable, Achievable, Relevant and Timely). The IEP provides a specific way to check on progress. Program, Placement, Related Services and Supplementary Aids. Special ways of teaching a student are always included in an IEP. How that instruction and the rest of services get delivered is different in every situation and requires collaboration and creativity. Extended School Year (ESY), if the IEP team believes it is necessary. Transition Plan (required on an IEP at age 16). This can be key to a young person’s future, and families and students need to participate fully. Sometimes counselors from the Department of Vocational Rehabilitation (DVR) or another agency interview the student or even come to the IEP meeting to help. At the meeting, each person should be introduced and listed on the sign-in sheet. Schools generally assign a staff member as the IEP case manager, and that person usually organizes the team meeting. Any documents that you see for the first time are draft documents for everyone to work on. Remember that everyone at the table has an equal voice, including you! Having a photo of a student who isn’t attending in the center of the table might help remind the team to keep conversations student-centered. Parents can help to make sure the focus stays on the needs, goals, strengths and interests of their student. One key topic for discussion might be about the goals and how they are written. The acronym SMART can help the team make sure goals are Specific, Measurable, Achievable, Relevant and Timely. Ask how the school is going to keep track of progress. Decide as a team how often you would like progress reports. You may discuss placement–where the school day will happen. Families and schools talk about how much time a student is spending in the Least Restrictive Environment (LRE): Remember that LRE is one of the IDEA’s primary principles. Your opinion in this important conversation about inclusion matters! If your student is not participating with non-disabled peers in academic or extracurricular areas, ask for the reasons in writing. Specific goals for Social Emotional Learning and self-regulation strategies may be needed for appropriate and meaningful access to education. For more ideas, read PAVE’s article series about Social Emotional Learning. Modifications your student may need in class or for fire drills, lunch or recess support, walking to/from classes, etc. 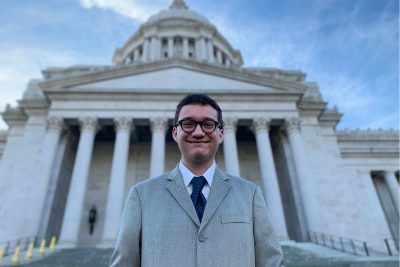 Long-term goals: An IEP must include transition goals by age 16, and all Washington schools start Life After High School planning in middle school. Extended time over breaks in the school year: Consider how your student might have a pattern of losing and regaining skills or information over extended breaks from school. You also might want to consider if your student is showing signs of emerging skills that potentially could be lost if an extended break from school happens. During your meeting, ask questions if you don’t understand something. If it is said in the meeting, it can also be put into writing. For example: “The district doesn’t have the funding to offer that.” You can choose to respond, “Please put that in writing.” Any decisions that impact your student’s education or changes to your student’s IEP must be written down in a form called the “Prior Written Notice.” It is like a thank-you note sent after a party. The note states what happened, why it happened and who participated in the event. Your meeting may resolve your concerns. If it doesn’t, consider adding notes to the signature page. You can ask for a follow-up meeting or write a letter to be attached to the IEP document. Make sure to follow through with whatever communication plan the team agreed to. The IEP team reviews the program at least once a year but can meet and change the program more often, if needed. This article began with a brief history of special education law. Parents have played an important role in that history, and they continue to impact the way that special education is provided in the schools. A recent court case that started in Colorado went all the way to the Supreme Court. That case, referred to as Endrew F, raised some standards related to the IEP. PAVE published an article on Endrew F that includes resource links and tips for using language from that court ruling to help in the IEP process. If all of this sounds a little overwhelming, you can break the work into steps. Figure out the best way to help your family stay organized with paperwork and information. Choose a calendar system that helps you track appointments and deadlines. Collect and mark the dates for major school events, such as back-to-school night and parent-teacher conferences. You can choose to print this article and highlight the sections you want to remember. Tuck the pages into your notebook or file folder, with the most recent copy of the IEP. Talking about the upcoming year with your student can help to reduce worries. Talk about new activities, classmates and things that will be the same or familiar. Find out if your school has an open house, and plan to attend. At your visit, talk about the school with your student. What do they like or not like? What’s new or different? What questions do they have? Take pictures during your tour, and you can review them in the days right before school starts. Try to meet with your student’s teachers and other school helpers, including therapists or even the bus driver, if possible. 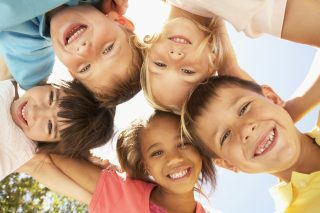 Helping your student to establish relationships early can ease worries and help the school team know what makes your student unique and awesome. Share a simple “quick reference” version of the IEP or Behavior Plan, if available. You can also write your own simple list of suggestions for success. From all of us at PAVE, we wish you a happy and successful school year! Regulations governing the development and content of an IEP are contained in the Individuals with Disabilities Education Act (IDEA, Public Law 108-446), and in the Washington Administrative Code (WAC 392-172A).